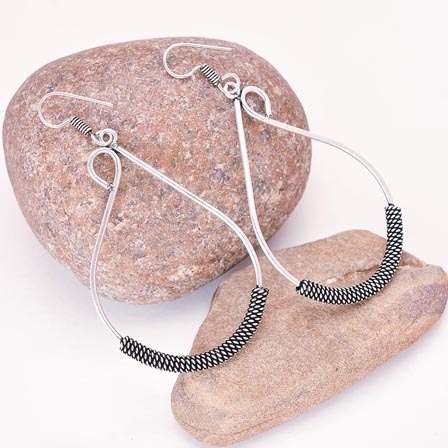 Beautiful stylish Silver Mango Shape Drop Earring for Women. This classic Silver having Mango Earrings are amazing piece of jewellery and should be added in your beautiful Jewellery collection. 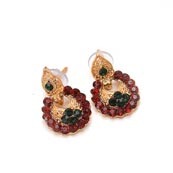 Be fashionably With Gold Texture Designed Drop Earring with Green pearls for Women. This classic Green having Texture Designed Earrings are amazing piece of jewellery and should be added in your beautiful Jewellery collection. 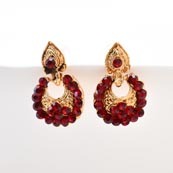 Beautiful stylish Red Stone Circular Design with Golden Polish Earring for Women. This classic Red having Earrings are amazing piece of jewellery and should be added in your beautiful Jewellery collection. Green and Dark Red Stone ..
Be fashionably With Green and Dark Red Stone Circular Design with Golden Polish Earring for Women. This classic Green and Dark Red having Circular Design Earrings are amazing piece of jewellery and should be added in your beautiful Jewellery collection. 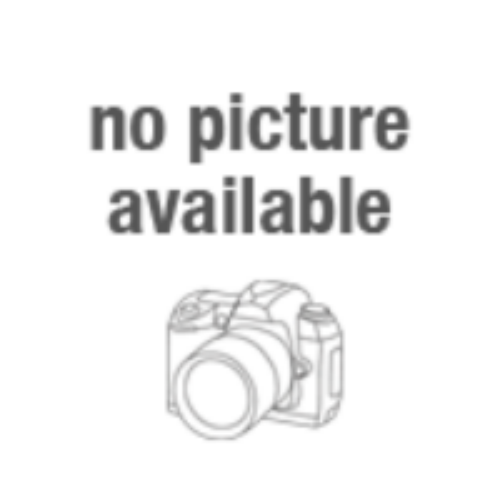 Be fashionably With Brown Stone Circular Design with Golden Polish Earrings for Women. This classic Brown having Circular Design Earrings are amazing piece of jewellery and should be added in your beautiful Jewellery collection. 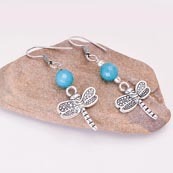 Be fashionably With Silver ButterFly pattern Drop Earring with Sky Blue Pearls for Women. This classic Sky Blue having Butterfly Earrings are amazing piece of jewellery and should be added in your beautiful Jewellery collection. 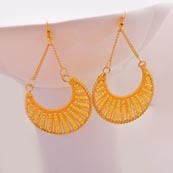 Beautiful stylish Gold Stone Circular Design with Golden Polish Earring for Women. This classic Gold having Circular Design Earrings are amazing piece of jewellery and should be added in your beautiful Jewellery collection. 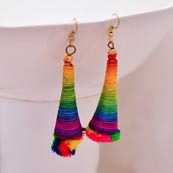 Beautiful stylish Multicolor Sike Handcrafted with Multicolor Pom Pom Drop Earring for Women. This classic Multicolor having Earrings are amazing piece of jewellery and should be added in your beautiful Jewellery collection. Be fashionably With White Stone Circular Design with Golden Polish Earring for Women. This classic White having Circular Design Earrings are amazing piece of jewellery and should be added in your beautiful Jewellery collection. Yellow Brass with Yellow ..
Be fashionably With Yellow Brass with Yellow Pearls Drop Earring for Women. This classic yellow having Brass Earrings are amazing piece of jewellery and should be added in your beautiful Jewellery collection. Beautiful stylish Brown Stone Circular Design with Golden Polish Earring for Women. This classic Brown having Circular Design Earrings are amazing piece of jewellery and should be added in your beautiful Jewellery collection. 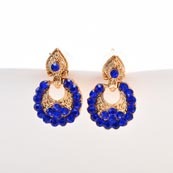 Beautiful stylish Blue Stone Circular Design with Golden Polish Earring for Women. This classic Blue having Circular Design Earrings are amazing piece of jewellery and should be added in your beautiful Jewellery collection. 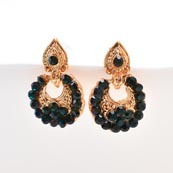 Be fashionably With Dark Green Stone Circular Design with Golden Polish Earring for Women. This classic Dark Green having Circular Design Earrings are amazing piece of jewellery and should be added in your beautiful Jewellery collection.